On Tuesday 18th September, scientists from the Dublin Institute for Advanced Studies (DIAS), onboard the Marine Institute’s RV Celtic Explorer, set out from Cork on a scientific expedition that will take them Ireland’s Atlantic territorial waters to uncover the secrets of Ireland’s deep Atlantic – below the bottom of the ocean floor. 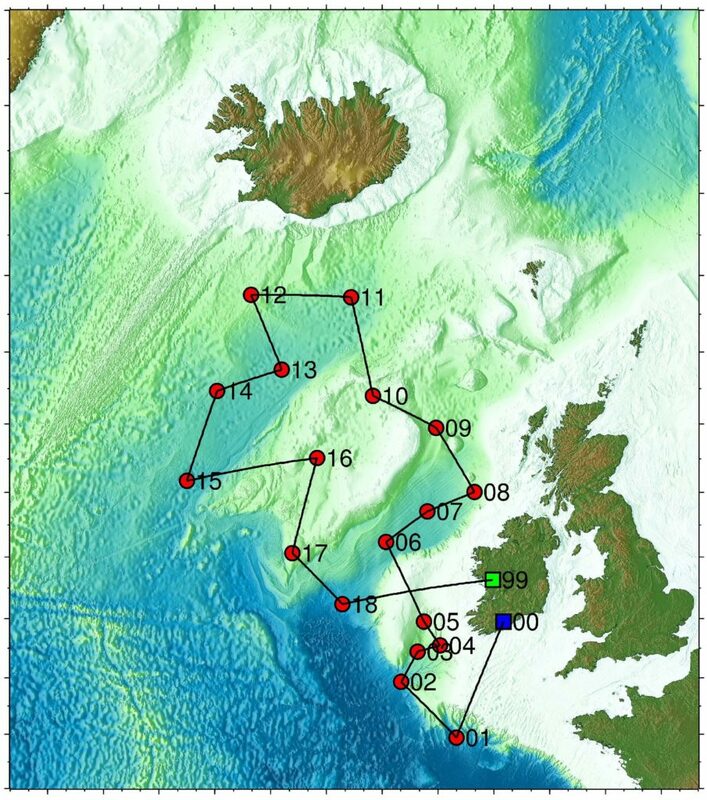 The 21-day deep sea mission (17th September – 6th October 2018) is a part of the SEA-SEIS project (Structure, Evolution And Seismicity of the Irish offshore) and will involve the deployment of 18 ocean-bottom-seismometers that will sink and install themselves at the bottom of the seafloor at depths of in the North Atlantic Ocean. The locations around Ireland’s waters where the seismometers will be deployed over the next three weeks. 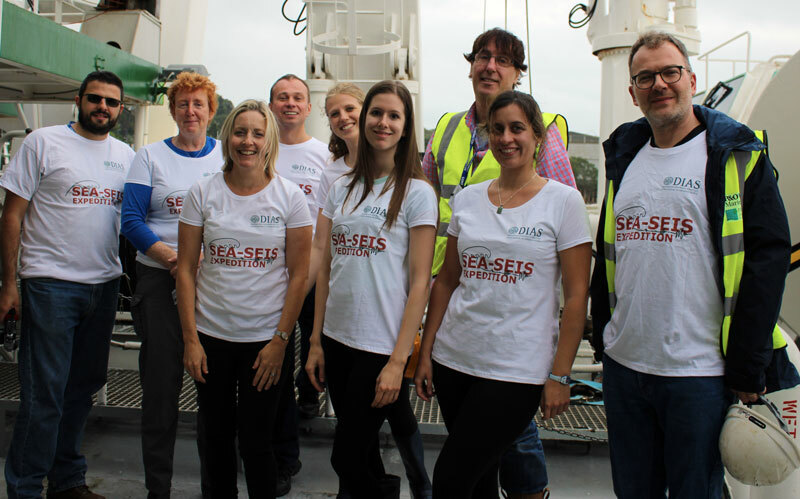 As part of the missions science outreach programme, the SEA-SEIS project team are engaging with the schools while they are at sea. There is a range of resources and videos at SEA-SEIS website that teachers can use. The SEA-SEIS team have also organised a range of activities that both primary and secondary schools can take part in over the next couple of months. There are teaching resources and lesson plans from the Explorers Education Programme, as well as some great competitions involving a drawing competition and composing a rap song. The DIAS OBS deployment survey is part of a new project “Structure, evolution and seismic hazard of the Irish offshore” funded by SFI, Marine Institute and the Geological Survey Ireland and started on the 1st March, 2018. This deployment survey is also made possible by the establishment of the SFI-funded Insitu Marine Laboratory for Geosystems Research (iMARL), which is providing the 18 new, broadband, ocean-bottom seismometers. As it would happen, Daniel from Coast Monkey has joined this expedition and is aboard the Celtic Explorer. Check out his daily diary from the ship.